By buying this product you can collect up to 90 loyalty points. Your cart will total 90 points that can be converted into a voucher of 45,00 €. This flag is one of great quality, as much from the mastery of the craftsmen who make it as much as by the materials that have been chosen to achieve this incredible realistic effect. The bulk of the flag is made out of quality silk, sewn and hand embroidered, double faced. 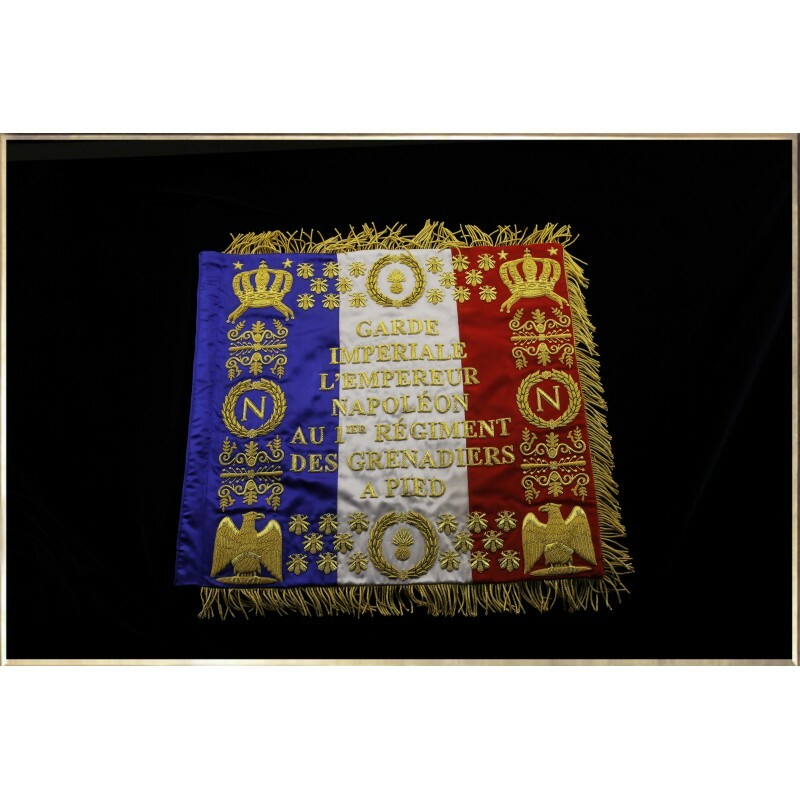 On one face you will find the honors given to the regiment by Napoleon, and on the second face the battles in which the soldiers of this illustrious regiment of the French First Empire have participated. Among the most valiant units on the battlefield, the mere sight of the banner of the Imperial Guard encouraged the other regiments of the Grande Armée. From the banks of the Moskowa to Spain, from the cold Prussian countries to the verdant Milanese plain, the Grognards, as the emperor liked to call them himself, they were of all great battles alongside the man for whom they were ready to sacrifice everything in an instant.